David: There has been a lot of smoke today. Boats are always making the asthmatic chug along the canal, spilling smoke that coils and dances into incredible, momentary shapes before snaking away. However, today the traffic has been heavy, the view across to the island often lost in temporary banks of smoke. I love to watch it dissipating, chased away by the breeze. There is a wonderful grace in it when it runs under the Iron Horse Bridge or weaves between the island’s willow that can steal always my attention. I also today heard someone call coming into London as ‘visiting the smoke’, reminding me that whilst I might find it charming today, for most of its history, smoke was a scaring hand around the throat of the city. Jo: My dad was a Londoner, after the Second World War, he and my mum moved to East Anglia. I can often remember them using this phrase when referring to London. They were only too pleased to escape the smoke to a small market town, where I was bought up. When a friend moved to London some years ago, for the first time I started frequently visiting London. I remember vividly leaving where I was staying very early, and wandering the streets of the City area. I turned a corner and suddenly there was the River Thames. I was reduced to tears. I immediately felt that I had found one of my spiritual homes. 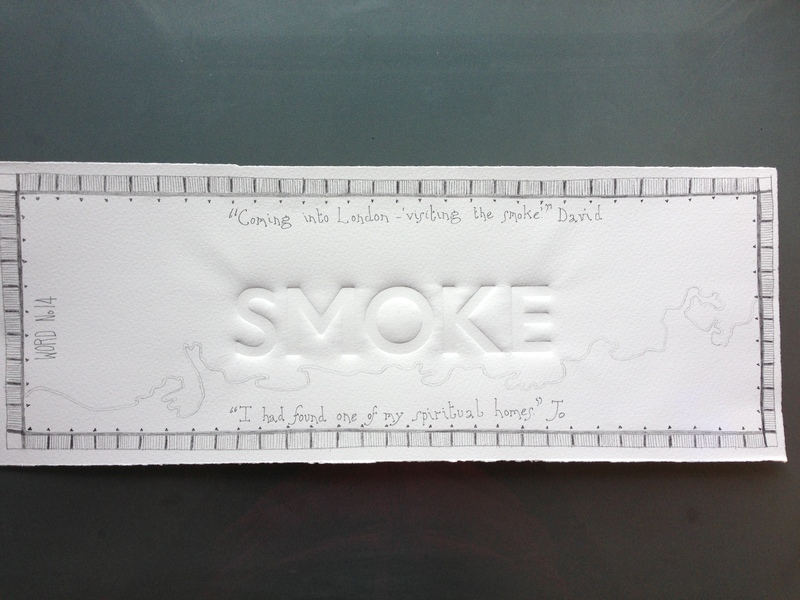 So, for me, ‘visiting the smoke’, means visiting one of my homes. This entry was posted in 50/50 and tagged canal, east anglia, horse bridge, London, river thames, smoke, transportation, words. Bookmark the permalink.